The Photos app was refreshed with the arrival of the Windows 10 Fall Creators Update 9 New Settings Features in the Windows 10 Fall Creators Update 9 New Settings Features in the Windows 10 Fall Creators Update Does the Settings app seem to change every time you use it? We'll show you the most important features you may have missed since the last Windows 10 update! Read More . One of the updates will catch your eye if you like sharing photos and videos. Windows calls it Choose a Star and it can turn you into an impromptu filmmaker within a few minutes. With the help of “Choose a Star”, you can build a video around the person you choose. And you don’t need any special video making skills at all. Launch the new Photos app. Select the Create button on the top toolbar. Now, choose Automatic video with music and select content. Click the Create button on the top toolbar again and title your video. Then select Create video. Photos goes to work and creates the video. Click the Remix it for me button to enhance it with different visual styles and transitions. Once you decide on the right look after the remix, use the Choose a star feature and the video will highlight that special person in each frame. Download the video file or upload it to social media and share with your friends. The “Choose a Star” feature helps you create sophisticated videos in a fraction of the time it would take with a more powerful video editor. There’s no learning involved at all. Just five simple steps. 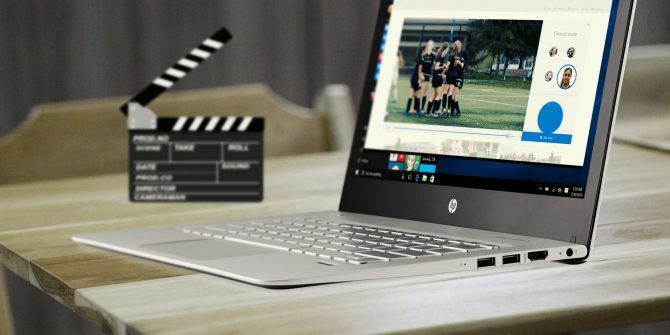 Explore more about: Video Editor, Windows 10. Followed these steps and it wiped my whole hard drive. I didn't format it.